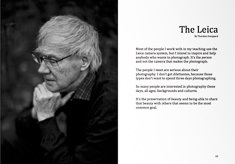 leica.overgaard.dk - Thorsten Overgaard's Leica Pages - The Story Behind That Picture 117 - "The Decisive Moment - Henri Cartier-Bresson"
The Story Behind That Picture: "The Decisive Moment"
When Henri Cartier-Bresson talked about the decisive moment, he was mainly talking about having a camera with you, and having it ready. 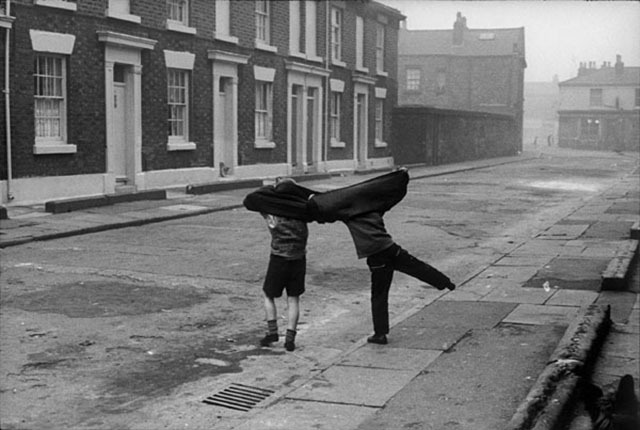 Henri Cartier-Bresson began his work with the Leica when he was 22 in 1930 and for him it became a pure medium of vision, enabling him to capture reality spontaneously. At a time where moving pictures were silent movies with a pianist or an orchestra accenturating the mood and action, photographing was something you did with a large wooden camera. Not very portable, fast or discrete. The introduction of the Leica in 1925, this small portable and rather discrete camera was actually a revolution in capturing the moment. Leica is "The grandfather of 35mm photography" because it was the camera that changed everything. In the first years the 35mm format was simply called "the Leica format", but later as more producers took up the idea, it became known as the "35mm format" (referring to the roll-film inside that is 35mm wide). In todays digital age the format of the picture known as "full frame" is exactly the same as when Leica first introduced the format in 1925. 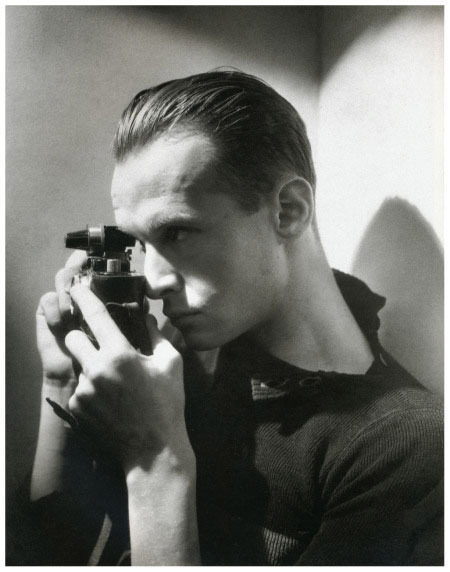 Henri Cartier-Bresson was one of the early adopters of this new revolutionizing camera format, he never worked with any otter camera. 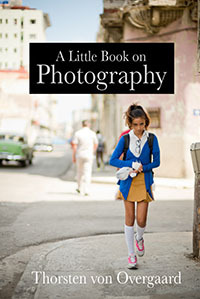 Like every photojournalist and photographer, he waged a constant battle against time for certain images he wanted to capture photographically. He had to act before the spontaneous even was over. 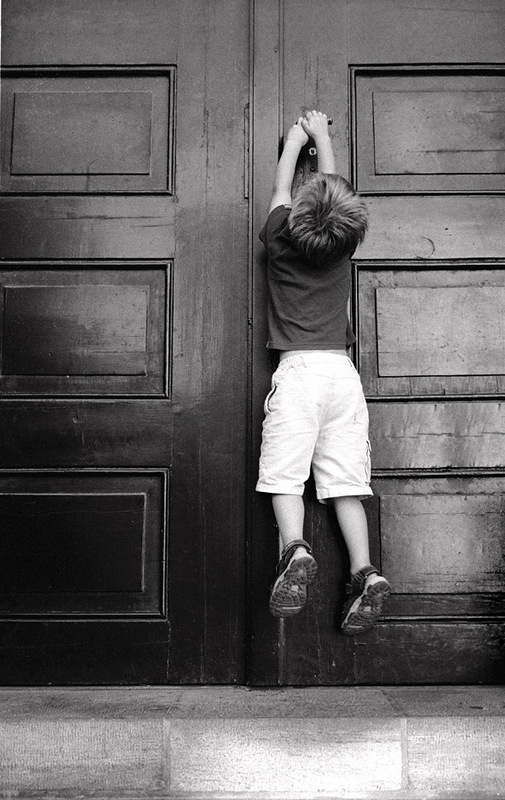 My son Oliver trying to open the large church door in Copenhagen. Leica Minilux by Thorsten Overgaard © 2003-2014. Often, when you see something exciting or fantastic, you get the urge to take a picture of it. But often one can forget that the thing happening is a “live” event of a longer period and the picture, one tries to capture, is only an instant millisecond without sound. So pictures have to “talk.” They must be composed, arranged, though through so they communicate the experience, the situation or (if a portrait) the personality. 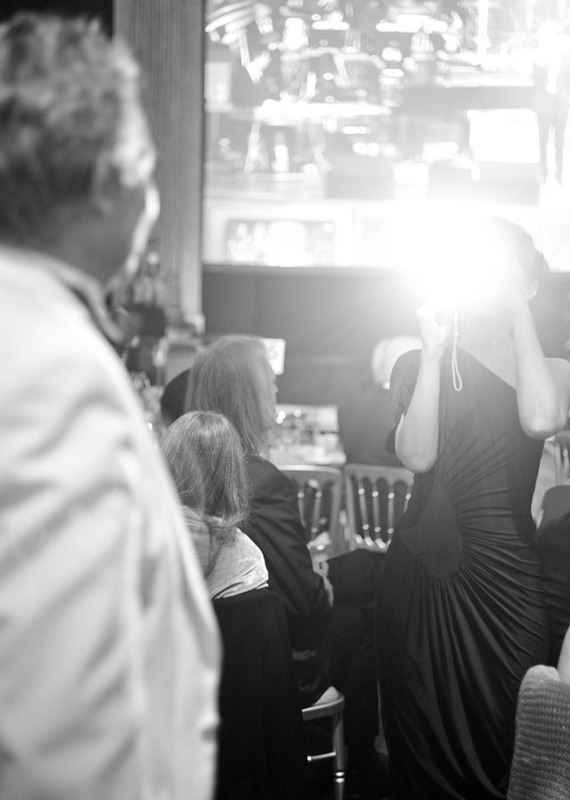 But to talk about timing in the real world of events, it's a prerequesit that the camara is with you, and ready. "Martine's legs" (1967) by Henri Cartier-Bresson. His wife's legs. 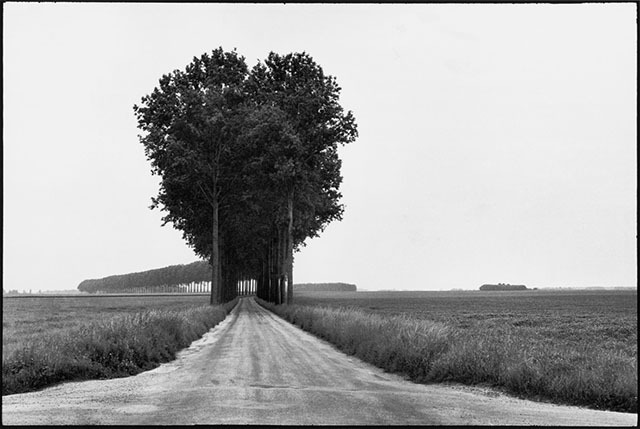 © Henri-Cartier-Bresson/Magnum Photos. This photo and more first appeared in the book Henri Cartier-Bresson: "Here and Now" that went along with the 2014-exhibition in Paris of Henri Cartier-Bressons paintings, drawings, movies, poetry and photographs. With a sharp eye and an alert spirit Henri Cariter-Bresson used to go through the world as if on tiptoe. Always prepared to "catch life in the act", to capture the essential. The famous decisive moment. 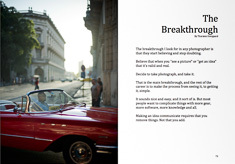 "For this reason photographer and camera should become one," Cartier-Bresson said. "They have to move inconspicously in order to succeed. Being as one with the camera requires the photographer to master in his sleep the few things which make the camera ready to shoot," he said. In 1952, Cartier-Bresson published his book "Images à la sauvette" ("images on the run" or "stolen images") but in English the title became "The Decisive Moment" which has almost become synonymeous with Cartier-Bresson ever since. In the text of the book Henri Cartier-Bresson had taken a quote from Cardinal de Retz (1613 – 1679): "There is nothing in this world that does not have a decisive moment", and so it became the title. You walk or drive by, and you see something is there. You stop and make it work. FRANCE. Brie. 1968 © Henri-Cartier-Bresson/Magnum Photos. 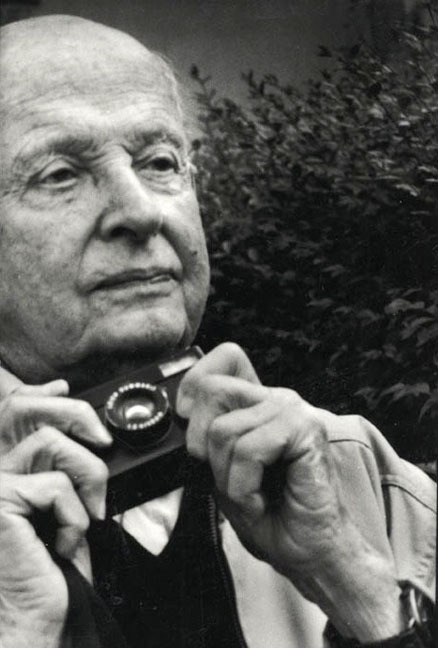 "Photography is not like painting," Cartier-Bresson told the Washington Post in 1957. 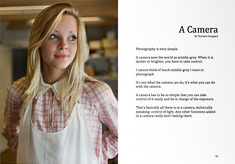 "There is a creative fraction of a second when you are taking a picture. Your eye must see a composition or an expression that life itself offers you, and you must know with intuition when to click the camera. That is the moment the photographer is creative," he said. With some training, you will be able to stand in one end of a street, or in a room, and preview from which angle (and with which lens) you will be able to capture the essence (message) of it. And what should be in the picture for it to look right. 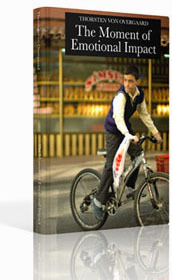 That's what you often do if you do an assignment for a magazine or client. 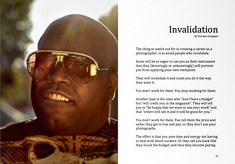 They want photographs to illustrate a story that has an overall message. So you ask yourself, how might the location I will arrive at most likely look like, and what possibilities will it offer. I find that I often have 'seen' the photo I wanted several days before I got them. But also often that I saw a picture coming up in a few seconds, and so moved my self to a spot so I would be able to capture that moment in the instant it was likely to happen. The essence is the message: The thing you want to tell; like, it was a huge room, or it was filled with people, or the design was very clean and straight. If you want to show well-aligned designs, you have to choose an angle from where it shows alignment of the lamps, windows, chairs, colours or other. Or if a lot of people, then choose an angle from which the picture is crowded (I once did an opening ceremony with five people: Two to cut the ribbon and three to act as silhouettes in front of me. Then you have a picture of an opening ceremony that was so crowded the audience was even in front of the photographer). Some people walk close to a stage for example in their childrens school and take a photo, resulting in a photo with a child alone on a big stage in front of an empty hall. If you did a play on stage, you want a picture of it that shows the audience. Right? If it’s an event for kids, go down and focus on some children playing, and with the parents and balloons in the background, looking happy, their kids are having fun. This will signal, it was a family event, which was fun for the kids and that it was a happening with many people. 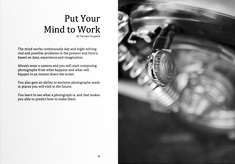 The decisive moment may sound very fragile and requiring great skill and long and hard won professionalism. But if you have a camera with you that is as ready as you are looking for photos, it becomes much easier to capture that 1/125th second that tell the story and conveys the atmosphere you saw was there. This article was inspired of the possibility earlier today to buy a signed print of the Henri Cartier-Bresson photo shown on top. I was two hours too late, so the print was gone when I after three hours intensive thought had made my mind up (a final message from HCB about the Decisive moment, I guess). 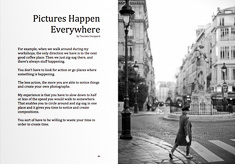 The book Henri Cartier-Bresson: "Here and Now" that went along with the 2014-exhibition in Paris of Henri Cartier-Bressons paintings, drawings, movies, poetry and photographs gives a good idea of what went on behind the scene in his life. Above: You can almost feel how Henri walked by the River Marne in 1938 with his camera ready, saw this family, made a quick photo and then walked on without anybody ever noticing anything. 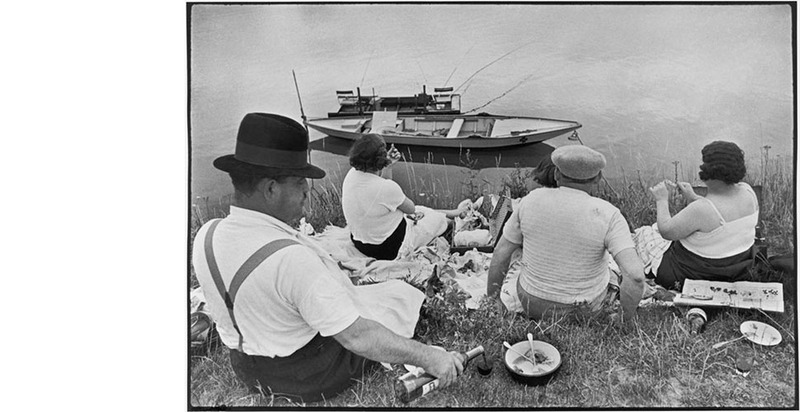 "Sundays on the banks of River Marne"